Preface: The Law of the People’s Republic of China on Protection of Cultural Relics (2015 Amendment) (in Chinese: 《中华人民共和国文物保护法》) was amended for the fourth time in accordance with the Decision on Amending the Cultural Relics Protection Law of the People’s Republic of China at the 14th Session of the Standing Committee of the Twelfth National People’s Congress of the People’s Republic of China on April 24, 2015. The Law of Cultural Relics covers a wide range of contents about the protection and excavation of cultural relics, including immovable relics, archeological excavations, cultural relics in the collection of cultural institutions, folk collection, relics exit-entry management and relevant legal liabilities. Chapter II concerns the immovable cultural relics which is the most relevant to urban development. Article 13 stipulates the three-tier administration system of immovable relics and Article 14 prescribes the administration systems of famous cities of historical and cultural value and famous neighborhoods, villages or towns of historical and cultural value. Moreover, the Law of Cultural Relics sets restrictions on the construction within or near the area of protection for a historical and cultural site. For instance, no construction or operation of blasting, drilling and digging may be conducted within these areas unless approved by the corresponding department. No pollution facilities may be put up within the protection area or controlled construction area. The construction unit shall try its best to get around the site of immovable cultural relics. The Law lays down the provisions for legal liability at the end. As the core law in the area of historic preservation, the law binds all local governments at or above county level where famous cities of historical and cultural value are located to the responsibility of making historic preservation plans as part of the statutory comprehensive plans. Article 1 With a view to strengthening the protection of cultural relics, inheriting the splendid historical and cultural legacy of the Chinese Nation, promoting the scientific research, conducting education in patriotism and revolutionary tradition, and building the socialist spiritual and material civilization, this Law is formulated in accordance with the Constitution. (5) Typical material objects reflecting the social system, social production or the life of various nationalities in different historical periods. 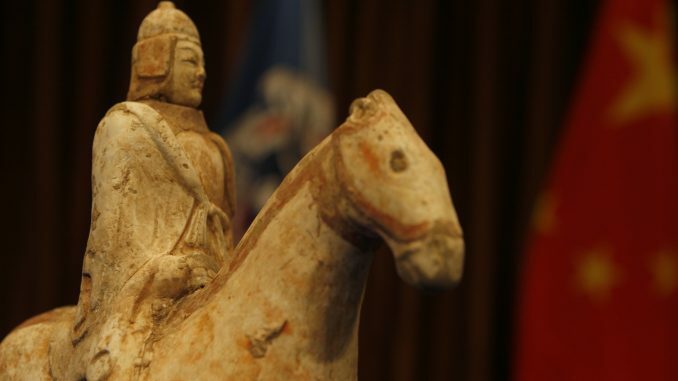 The criteria and measures for the determination of cultural relics shall be formulated by the department of cultural relics administration under the State Council, which shall report such measures to the State Council for approval. Fossils of paleo vertebrates and paleo anthropoids of scientific value shall be protected by the state in the same way as cultural relics. Article 3 Unmovable cultural relics, such as sites of ancient culture, ancient tombs, ancient architectural structures, cave temples, stone carvings, mural paintings, and important historical sites and typical buildings of modern and contemporary times, etc., may be determined as major historical and cultural sites protected at the national level, historical and cultural sites protected at the province level and historical and cultural sites protected at the level of city or county. Movable cultural relics, such as important material objects, artworks, documents, manuscripts, books and materials, and typical material objects, etc., are divided into valuable cultural relics and ordinary cultural relics; valuable cultural relics are divided into Grade 1 cultural relics, Grade 2 cultural relics and Grade 3 cultural relics. Article 4 The principles of focus on protection, giving first place to rescue, reasonably utilization and strengthening the management shall be followed in the work concerning cultural relics protection. Article 5 All cultural relics remaining underground or in the inland waters or territorial seas within the boundaries of the People’s Republic of China shall belong to the state. Sites of ancient culture, ancient tombs and cave temples shall belong to the state. Unmovable cultural relics, such as memorial buildings, ancient architectural structures, stone carvings, mural paintings and typical buildings of modern and contemporary times, etc. designated for protection by the state, shall belong to the state, unless it is otherwise provided by the state. Ownership of state-owned unmovable cultural relics shall not be changed as a result of the change of ownership of or use right to the land to which the cultural relics are attached. (5) Other cultural relics owned by the state as provided for by the law. Ownership of state-owned movable cultural relics shall not be changed as a result of the termination or alteration of the collection or preservation entities. Ownership of state-owned cultural relics shall be protected by law and shall not be infringed upon. Article 6 The ownership of memorial buildings, ancient architectural structures and cultural relics handed down from generation to generation that belong to collectives or individuals shall be protected by law. Owners of the cultural relics must abide by the relevant state regulations governing the protection and control of cultural relics. Article 7 All government organs, public organizations and individuals have the obligation to protect cultural relics pursuant to law. Article 8 The department of cultural relics administration under the State Council shall take charge of the work concerning cultural relics protection throughout the country. Local people’s governments at various levels shall be responsible for the work of protecting cultural relics in their respective administrative jurisdictions. The departments of local people’s governments at and above the county level that undertakes the protection of cultural relics shall supervise and administrate cultural relics protection within their respective administrative jurisdictions. The relevant administrative departments of local people’s governments at and above the county level shall be responsible for the relevant cultural relics protection work within their respective scope of duties. Article 9 The people’s governments at various levels shall stress the protection of cultural relics, properly handle the relationship between economic construction, social development, and cultural relics protection, and ensure the safety of cultural relics. Infrastructure constructions and tourism development must comply with the principles for the protection of cultural relics, and may not damage cultural relics. Public security bodies, industry and commerce administrations, customs offices, urban and rural construction planning bodies and other relevant state organs shall earnestly perform their duties of cultural relics protection and maintain the order of cultural relics administration pursuant to law. Article 10 The state develops the cause of cultural relics protection. The people’s governments at and above the county level shall bring the cause of cultural relics protection into the national economic and social development planning of the corresponding levels, and the expenses needed shall be listed in the budgets of the government of corresponding levels. The state financial allocation used in cultural relics protection shall be increased with the increase of financial revenue. The public income of state-owned museums, memorials, and cultural relics protection entities shall be especially used in cultural relics protection, and no entity or individual may take into their own possession or misappropriate the fund. The state encourages the establishment of social foundations for cultural relics protection, especially used in cultural relics protection, through donation and other forms, and no entity or individual may take into their own possession or misappropriate the fund. Article 11 Cultural relics are non-renewable cultural resources. The state shall strengthens the propaganda and education on cultural relics protection, enhance the sense of cultural relics protection of the people, encourage the scientific research of cultural relics protection, and improve the scientific and technological level of cultural relics protection. (5) Major contribution in archaeological excavations. (8) Long-time service and outstanding achievements in the field of cultural relics. Article 13 The department of cultural relics administration under the State Council shall select, from among the historical and cultural sites protected at the levels of province, city and county, those of significant historical, artistic or scientific value as major historical and cultural sites protected at the national level, or shall directly designate such sites and report them to the State Council for approval and announcement. Sites protected at the level of province shall be subject to the approval and announcement of the people’s governments at the levels of province, autonomous region, and municipality directly under the Central Government, and be reported to the State Council for record. Sites protected at the level of city and county shall be subject to the approval and announcement of the people’s governments at the level of city divided into districts, autonomous prefecture and county, and be reported to the people’s governments of provinces, autonomous regions, or municipalities directly under the Central Government for record. Unmovable cultural relics not approved and announced as protected historical and cultural sites shall be registered and announced by the departments of cultural relics administration of the people’s governments at the county level. Article 14 A city with an unusual wealth of cultural relics of high historical value and major revolutionary significance may be famous city of historical and cultural value, which shall be subject to the approval and announcement of the State Council. A town, street, or village with an unusual wealth of cultural relics of high historical value and major revolutionary significance may be a street, village or towns of historical and cultural value, which shall be subject to the approval and announcement of the people’s governments of provinces, autonomous regions, or municipalities directly under the Central Government, and shall be reported to the State Council for record. The local people’s governments at and above the county level of the place where the famous cities, streets, villages and towns of historical and cultural value are located shall organize the formulation of plans on protection of those famous cities, streets, villages and towns, and bring that planning into the overall city planning. Measures for the protection of famous cities, the streets, villages and towns of historical and cultural value shall be formulated by the State Council. Article 15 The people’s government of the provinces, autonomous regions, and municipalities directly under the Central Government and of cities and counties shall delimit the necessary scope of protection, put up signs and notices, and establish records and files for the historical and cultural sites protected at different levels and shall, in the light of different circumstances, establish special organs or assign full-time personnel to be responsible for the administration of these sites. 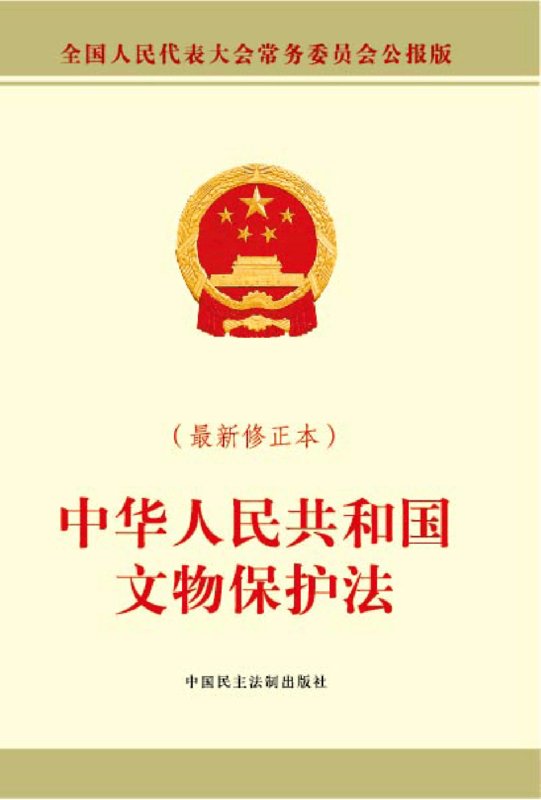 The scope of protection and records and files for the major historical and cultural sites protected at the national level shall be reported by the departments of cultural relics administration of the people’s governments of provinces, autonomous regions, and municipalities directly under the Central Government to the department of cultural relics administration under the State Council for record. The departments of cultural relics administration of the local people’s governments at and above the county level shall, according to the demand for protecting different cultural relics, work out specific protective measures for the unmovable cultural relics of the protected historical and cultural sites and those not approved as protected sites, and shall announce and implement such measures. Article 16 When drawing up plans for urban and rural construction, the people’s governments at various levels must, according to the needs of cultural relics protection, see to it that the protective measures for the historical and cultural sites protected at different levels are first worked out through consultation by the departments of urban and rural construction planning in conjunction with the departments of cultural relics administration, and that such measures are included in the plans. Article 17 No additional construction projects or operations such as explosion, drilling or excavation, etc. may be undertaken within the scope of protection of a protected historical and cultural site. However, if additional construction projects or operations such as explosion, drilling or excavation need to be undertaken within the scope of protection of such a site due to special reasons, the safety of the site must be guaranteed, and approval must be obtained from the people’s government which made the original approval and announcement on the designation of the site, with consent first obtained from the department of cultural relics administration of the people’s government at the next higher level; If additional construction projects or operations such as explosion, drilling or excavation are to be undertaken within the scope of protection of a major historical and cultural site protected at the national level, approval must be obtained from the people’s government of the relevant province, autonomous region, or municipality directly under the Central Government, with consent first obtained from the department of cultural relics administration under the State Council. Article 18 According to the actual needs for the protection of cultural relics and with the approval of the people’s government of the province, autonomous region or municipality directly under the Central Government, a certain area for construction control may be delimited around a protected historical and cultural site and be announced. Construction projects in such an area shall not deform the historical features of the protected historical and cultural site; the project design scheme must, according to the level of the site, be subject to the consent of the corresponding department of cultural relics administration before it is submitted to the department of urban and rural construction planning for approval. Article 19 Within the scope of protection and the area for construction control of a protected historical and cultural site, no facility that pollutes the site and the environment thereof may be constructed, neither may any activity that may affect the safety and environment of that site be carried out. The existing facilities that pollute protected historical and cultural sites and the environment thereof shall be disposed of within the prescribed time limits. Article 20 Unmovable cultural relics shall be avoided in the choosing of construction sites by whatever possible means; if a protected historical and cultural site can’t be avoided for special circumstances, the original site shall be protected by whatever possible means. Where the original site is to be protected, the construction entity shall work out protective measures in advance, and, according to the level of the protected historical and cultural site, submit such measures to the corresponding department of cultural relics administration for approval, and shall list the protective measures in the feasibility study report or the planning project description. Where the original site can’t be protected and removal for protection in other place or dismantling must be carried out, the matter shall be submitted for approval to the people’s government of the province, autonomous region or municipality directly under the Central Government; for removal or dismantling of a historical and cultural site protected at the provincial level, consent of the department of cultural relics administration under the State Council must be obtained before the matter is submitted for approval. No major historical and cultural site protected at the national level may be dismantled, if it is needed to remove such a site, the people’s government of the province, autonomous region or municipality directly under the Central Government shall submit the matter to the State Council for approval. Mural paintings, sculptures, and construction components that are included in state-owned unmovable cultural relics dismantled pursuant to the preceding paragraph and that have collection values shall be collected by the cultural relics collection entities designated by the departments of cultural relics administration. The expenses needed for protection of the original site, for removal and dismantling provided for in this article shall be listed in the project budget of the construction entity. Article 21 Repairs and maintenance of state-owned unmovable cultural shall be taken care of by the users, and repairs and maintenance of non-state-owned cultural relics shall be taken care of by the owners. Where any non-state-owned cultural relics are in danger of being damaged and the owner is incapable of repairing, the local people’s government shall give assistance; where the owner is capable of repairing but refuses to perform the repair obligation, the people’s government at or above the county level shall rescue and repair the culture relics, and the expenses incurred thereby shall be borne by the owner. The 14th session of the Standing Committee of the 12th National People’s Congress, Beijing, China, 24 April, 2015. 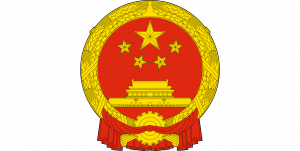 The 2015 Amendment is amended for the 4th time according to Decision of the Standing Committee of the National People’s Congress on Amending the Law of the People’s Republic of China on Protection of Cultural Relics was promulgated at the 14th session of the Standing Committee of the 12th National People’s Congress on April 24, 2015.